Traveling the globe is often the top item on our bucket lists, but turning a dream vacation into reality takes more than just a vision. You need to plan, execute and, most importantly, afford your trip – starting with picking your destination. National Geographic’s Top 10 list1 includes beachfront island cities, the best ideas for each season, and even the most extreme destinations for the adventurers among us. Whether it’s a tropical experience or ancient cities you crave to explore, a specific location probably comes to mind. However, life gets in the way and we daydream about the possibilities without coming up with a plan. “Where do I find the time and money to travel?” you ask. Continue reading to see how taking a bucket list trip is actually more accessible than you may realize with a vacation loan and we’ll also go over how to plan a once-in-a-lifetime vacation. The key to traveling for the average person is planning ahead. Of course retirees and those who sold a tech company for millions at age 22 can take advantage of last minute deals, but for the rest of us, we must plan ahead! Travel + Leisure examined the best timing to purchase plane tickets2 and found that typically 7 weeks out is the least expensive. CheapAir.com3 also ran a detailed study and found that in 2014, the best time to purchase was 47 days in advance for domestic flights. Now that we have an idea of when to purchase tickets, there a few additional steps to consider. You must reserve the time in advance! Blocking off your calendar 60 days out is generally sufficient and, given that you should purchase your tickets 6-7 weeks in advance anyways, is a solid time frame. Meetings and appointments will start creeping into your calendar if you fail to do so. In addition, it may even help increase your productivity as it’s a motivating factor to have a vacation to look forward to. When there is light at the end of the tunnel, you’re reminded what you’re working so hard for. As we listed above, make sure to purchase your plane ticket 6-7 weeks in advance. Plane tickets can be expensive, so applying for a vacation loan will provide the funds in advance to do that. Once you are approved, the funds can be sent the next business day. Vacation loans offer flexible terms so you can simply spread out the payments over a time period that fits with your budget. Discover offers flexible payment terms from 36-84 months. In addition, there are no pre-payment penalties so you can pay it all off as soon as you would like. 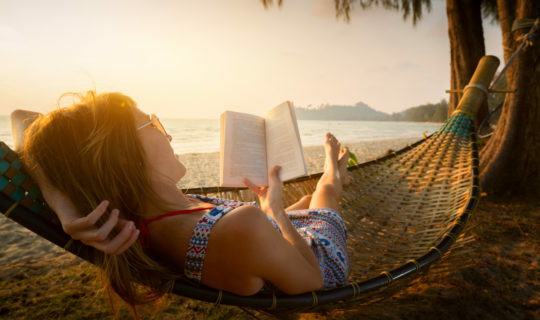 You can take advantage of low annual percentage rates (APR), Discover Personal Loans offer interest rates starting at 6.99%4, and receive anywhere from $2,500 up to $35,000 to cover all of your vacation costs. For those with strong credit, rates will be lower and affordable to manage compared to paying the entire expense up front. So where will you go? 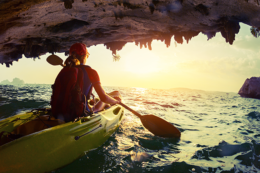 Using a vacation loan from Discover for your dream vacation can quickly become reality and you can start fulfilling your bucket list. 4. APR’s range from 6.99% to 29.99%. 6.99% APR not available for 84-month term. 19.99%-29.99% APR not available for 72 or 84-month term and loan amounts above $25,000.